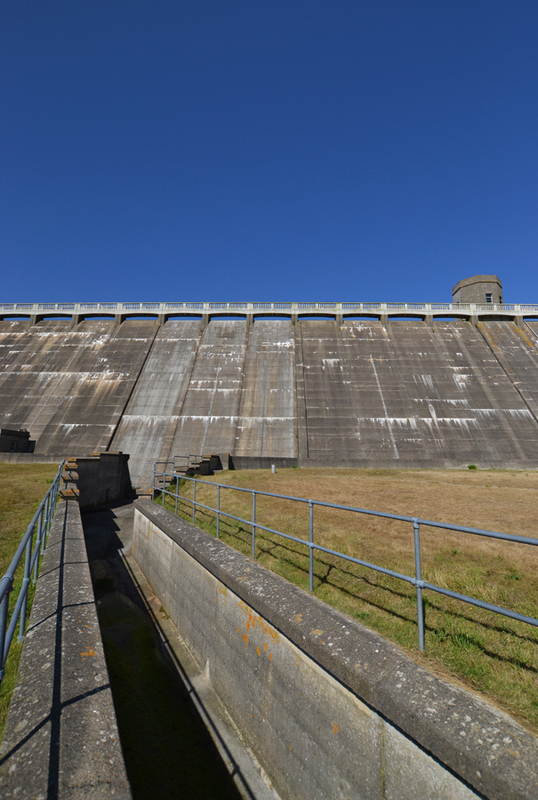 On the second to last day in Jersey I visited Val de la Mare Reservoir. To my great surprise at one end there was a large dam holding back the water which provided multiple photography opportunities. 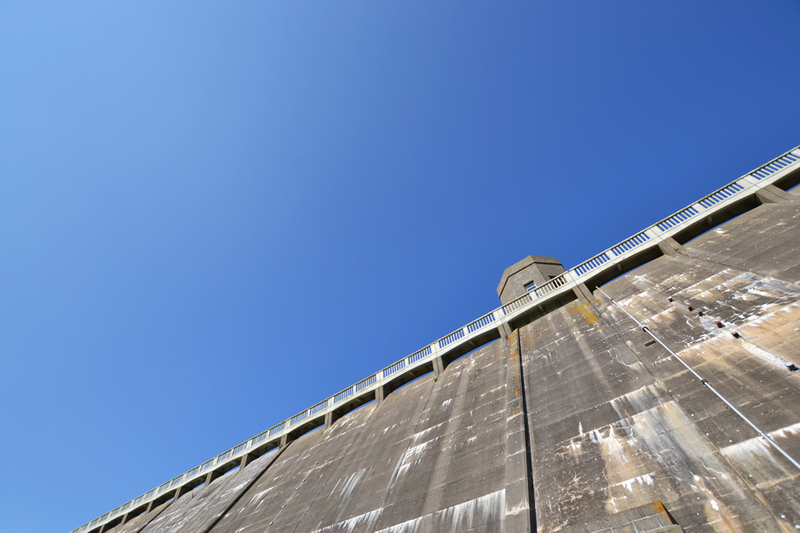 Some of the photographs I took went back to my old minimal architectural style which I think the dam was well suited for, the deep blue sky really helped to bring out the grey of the dam and the green hills on either side add another nice splash of colour. 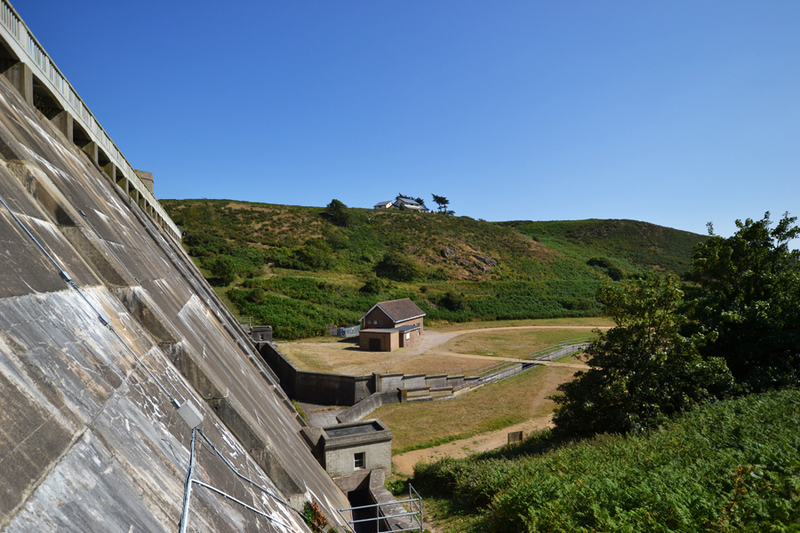 Val de la Mare reservoir was built in 1962 and is Jersey’s second largest water source, after Queens Valley Reservoir. 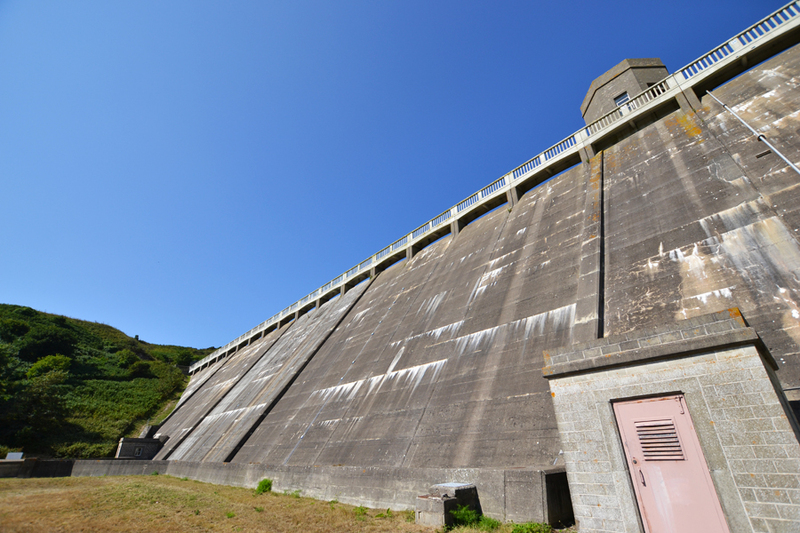 The entire walk around is 2.8 miles and consists of quite up and down terrain, especially when climbing the path up the side of the dam. In 1975 the Moore family donated a large sum of money to build an arboretum in memory of their son Nigel who had tragically died of a car crash in France. The arboretum consisted of trees from many different species and locations in the world, including Japanese Maples, American Redwoods and various Ashes and Conifers among others. Unfortunately funding run out for the project and the “forgotten forest” as it is known has been growing more and more out of control with only basic maintenance being provided for the footpaths. Multiple information boards have been placed around the site to draw people’s attention to the complex nature of the species in the forest and in the future there is going to be educational activities to be taking place, all with the intention to find funding to restore this great forest. 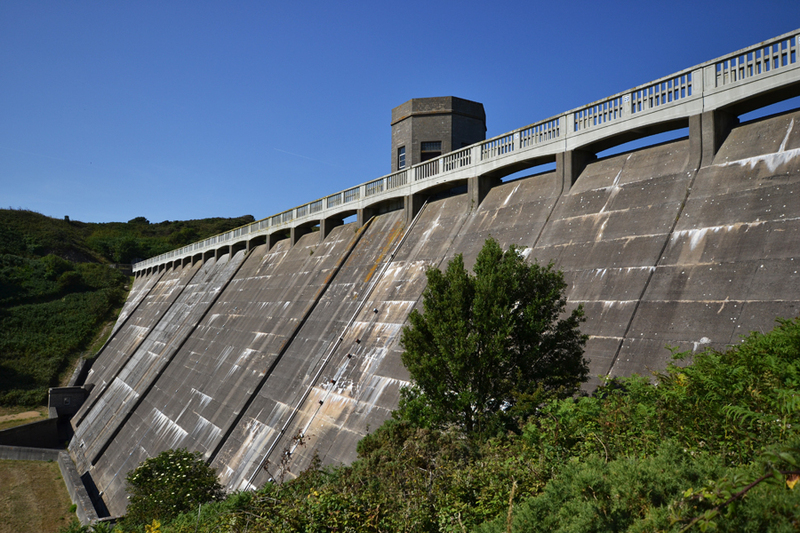 The dam at Val de la Mare was built in 1962 with the reservoir but has since been suffering from an alkali erosion. In 2011 the reservoir was drained and the inside section of the dam was sealed with a water proof membrane, although this will help protect the dam for many years to come there is no long term solution for the future. From the top of the dam you could view aeroplanes coming into Jersey Airport and you could see west to south west around the coast and La Corbière lighthouse (featured in this post) in the distance. On my way back from the dam I stopped off and took a picture of this windmill. 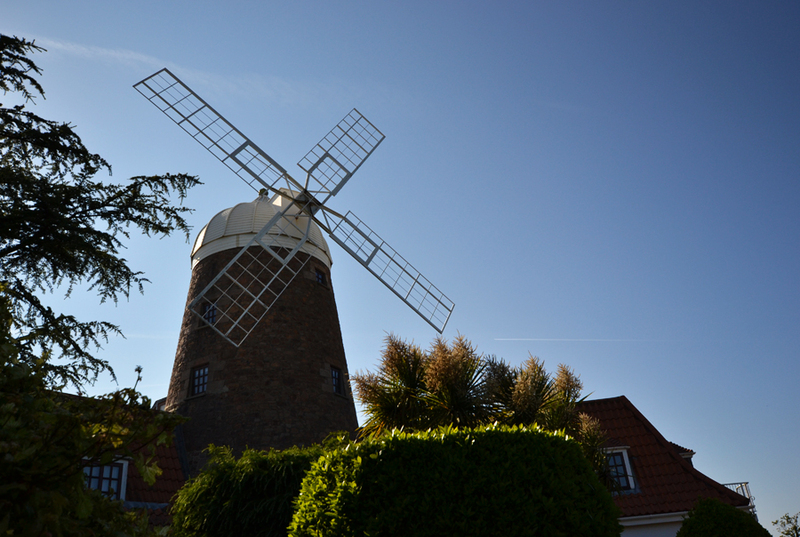 It is the only fully functioning windmill left in Jersey. Thanks for stopping by, there will be two more posts about my journey to Jersey so please check those out in the near future!